Could You Make Money at a Farmers Market? Farmers markets have a way of cropping up (pun intended) when the weather’s nice. Seasonal crops can be found on tables both indoors and outdoors, depending on your region. They look, and taste, delicious. But have you ever wondered just how much these farmers are earning from their booths? Or if you could do what they do? Could earn money at a farmers market selling something other than produce? The fact that farming would come into play at a farmers market is no surprise. Fresh produce is the star of the stands. 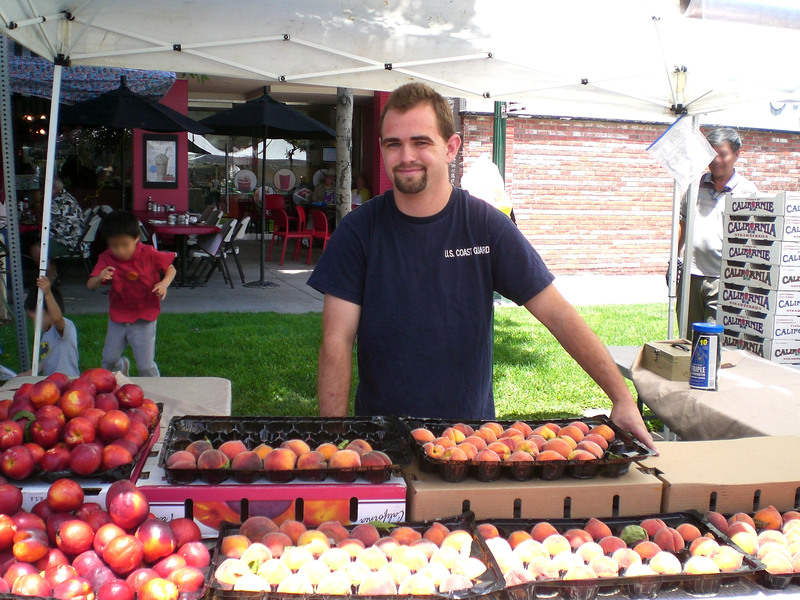 After contacting the Department of Agriculture and gaining the proper certification, Taylor recommends turning to the Internet for good local markets. “Look for ‘farmers market’ and the name of your city. Then contact the manager to see what you need to do to get a table,” he said. Also be prepared to meet health standards to appease not only the general public, but the health inspectors that come by for random inspections. “The standards themselves change from state to state, and sometimes city to city, so do your research and make sure you do what’s needed,” said Taylor. Honey is money when it comes to farmers markets. That is, if you’re willing to put in the work — and aren’t afraid of (or allergic to) bees! “Get affiliated with your local beekeeping community. Join a Beekeepers’ Association. Really work at building a good support system for yourself. Don’t go it alone — get people who can tell you why things are going wrong or what you’re doing right,” added Jensen. According to The US Bureau of Labor Statistics, beekeepers can earn $40,000 to $60,000 annually depending on their regional location and personal tenacity. In our interview, Jensen put emphasis on making connections and learning to interact with people. In addition to upping your people skills, consider branching out: “Soaps, candles… When you have the beeswax, it’s not difficult to make soap,” said Jensen, who also offers a bee extraction service to those who find their yards invaded by the honey-making Hymenoptera. The art of making fruit preserves — jams, jellies, chutneys, marmalades or spreads — can be done from the comfort of your own kitchen. With some creative packaging and good booth-side manner, you’ll be a hit at your local farmers market. Regan Boone, founder of Crescenta Valley’s Highway Highlands Farm, started out making jams and jellies as holiday gifts. With an upgraded license, you can sell your preserves via mail order (online or off) or on consignment. You’ll need to be ready for a health inspector to occasionally inspect your home kitchen to ensure it’s running to the highest standards. Each state manages their licensing differently, so be sure to check with your state’s department of health. Boone also offers price breaks to customers who buy more than one jar, encouraging them to buy in bulk. She also has a recycling program set up in which she gives back $0.25 to the customer whenever they return one of her pricey glass jars. “I then sterilize those jars and reuse them, which saves me a lot of money,” she said. Boone suggests offering free samples of your product to potential customers. She also takes on-demand orders for seasonal preserves and offers a free newsletter with recipes. For jams and jellies, clever marketing will take you far. You’ll want to open your customer’s eyes to possibilities they may not think of on their own. Depending on where you live (some regions have farmers markets available year-round while others are seasonal) and how much work you put into it, farmers markets can either be a full-time job or an excellent side-hustle. Plan ahead and choose the path that you’re most passionate about. Your Turn: If you could sell one item at a farmers market, what would it be?